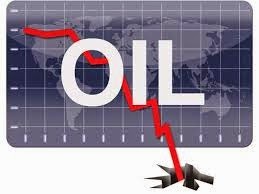 After a more upbeat start to the week, oil prices fell and hovered around $42 a barrel for WTI (the main U.S. benchmark). It looks like we're settling into another period of range-bound oil. Oil's initial move up this week was caused by some OPEC members calling, once again, for a cut or "freeze" in oil production. Now, it's true that every single member of OPEC is suffering from low oil prices – and some much more than others. But it's the likes of Venezuela, Nigeria, Libya, and Algeria that have been hit the hardest. All are facing acute financial meltdowns, with the accompanying escalation in inflation, unemployment, shortages of food and other staples, and rising unrest. Venezuela's capital is witnessing the worst food riots in decades, while Nigeria is undergoing an intensifying wave of conflict in the oil-rich Delta region. Libya, meanwhile, is flat out undergoing a civil war. Behind the official announcements of a resurgence in production and exports, Iran's economy and its collapsing oil infrastructure show what a financial mess the country is in. Against this backdrop, it's understandable that some OPEC members will from time to time float the trial balloon of an impending agreement on capping production. And, as happened earlier in the week, there will be a short-lived spike in prices. It's important to remember that oil traders peg their contract prices not on the cost of the current barrel of oil, but on the expected next barrel. If there is a rumor – in either direction – it will be reflected in the contract price. However, this is very much a "set the contract price on the rumor; use options to settle the price on the fact" kind of situation. Leading up to the non-event meeting in Doha, Qatar, several months back – the one that resulted in no agreement on production caps – the focus was on whether Russia would agree with OPEC on limiting production. That's because Saudi Arabia and the rest of OPEC will never cap the oil it moves into the global market without having an assurance that producers not in the cartel would be doing the same. And Russia is important as the largest non-OPEC oil provider in the world with central control over production. In other words, an agreement made by the Kremlin can quickly translate into a national policy of lower production. Now, the rise of shale and tight oil actually propelled the United States above Russia into the spot as the world's largest non-OPEC producer. But the American market is a very decentralized production environment. Even if Washington were to show up at an international oil meeting, the government has no power to negotiate for the thousands of private U.S. producers. We are, therefore, back to each competitor defending market share, with pricing cuts used to wrestle export markets from other producers. This was the reason for the Saudi move I discussed last week, a move directed squarely against Russian exports to Asia. Despite what the more desperate members of OPEC may prefer, there will be no accord on capping production levels before the first quarter of 2017. That's when a real balance between supply and demand may take root in the oil market. At the same time, there's no real threat of a collapse in oil prices. Despite what the short artists would like you to think, the price is hardly going back down to $30 a barrel.